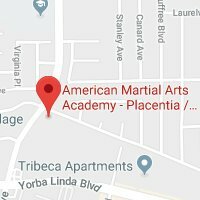 We have two schools conveniently located in Fullerton and Placentia / Yorba Linda. This makes it easy for our students to come from all over the North Orange County area. 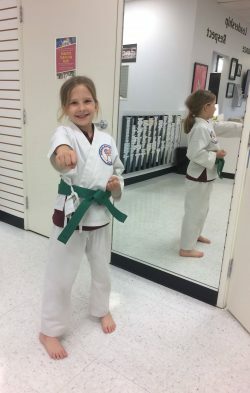 If you are looking for a great way for kids to exercise, make new friends, develop positive “life skills” and have a ton of fun, then American Martial Arts Academy is the place for you. 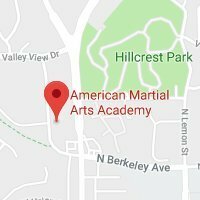 My daughter has been going here for a few years now, and she loves this karate school. 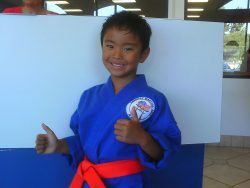 The Sensei’s are who really make this place wonderful – they keep the kids engaged and encouraged as they progress. Also, they have a great self-serve espresso machine, free WiFi and mobile charging stations for the parents. It’s nice to catch up on emails and get some caffeine while class is in session. ility. The energy of the staff is incredible. There are about a thousand amazing things I could say about this place but I’ll try to limit myself to something readable. My 2 sons started here about 3 months ago and have had nothing but positive experiences. The way these instructors handle students of such varying ages and abilities is nothing short of miraculous. 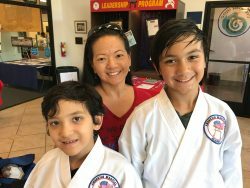 My 10 year old son has non-speaking autism and many programs have simply not been suitable for him.